Hitachi presents the UltraStar SSD400M, a new enterprise solid state disk with Intel MLC NAND flash memory. Until recently, conventional wisdom stated that SLC-based (single level cell) solid state drives (SSDs) were the only drives suitable for demanding Tier 0 Enterprise applications. That has changed with the introduction of Hitachi Global Storage Technologies' (Hitachi GST) new Ultrastar SSD400M MLC (multi level cell) SSD family. As a cost-effective alternative to SLC SSDs, Hitachi GST’s Enterprise MLC SSDs are the most advanced in the industry, utilizing Intel’s 25 nanometer (nm), highest endurance Enterprise-grade, MLC NAND Flash and delivering outstanding performance. Couple this with Hitachi GST’s known quality and reliability, and the result is a compelling Enterprise-class MLC SSD that meets the performance, capacity, endurance and reliability demands of today’s Enterprise and Cloud data centers. Targeting Enterprise capacity sweet spots, the Ultrastar SSD400M family is available in a 2.5-inch form factor with a 6Gb SAS interface in capacities of 200GB and 400GB. Not all Enterprise MLCs SSDs are created equal. Benefiting from 25nm Enterprise-grade MLC NAND Flash combined with endurance-optimized controller technology, the Ultrastar SSD400M 400GB delivers outstanding write endurance with 7.3 petabytes (PB) lifetime random writes, or 10 full drive writes per day for five years, which satisfies the endurance requirements of most Enterprise applications. Hitachi’s MLC SSDs also include all of the Enterprise features found in the company’s Ultrastar SLC SSD family, including comprehensive end-to-end data protection, error correction and error handling, resulting in the high level of reliability that is critical in Enterprise systems. Cost-Effective Capacity without Sacrificing Performance. Perfect for Tier 0 Enterprise storage and server environments, Hitachi GST's Ultrastar MLC SSDs offers very attractive performance in terms of write throughput and mixed IOPS performance. The Ultrastar SSD400M SSD delivers sequential throughput of up to 495MB/s read and 385MB/s write – closely reaching or even exceeding current SLC NAND-based products in the market. The new drive also delivers up to 56,000 read and 24,000 sustained write IOPS, speeds 100 times faster than HDDs, allowing rapid access to "hot" Enterprise data for improved productivity and operational efficiency. As fewer SSDs are required to achieve the same HDD ultra-high performance, the new Ultrastar SSD400M family offers significant value in terms of price/performance and IOPS per Watt, while reducing TCO through low power consumption, efficient cooling and reduced space requirements. MLC or SLC SSDs? Deciding on which one to use depends on the application and isn’t always an either/or decision. Hitachi’s SLC and MLC SSDs are similar in design and feature advanced Enterprise endurance, performance and data integrity technology; however, each inherently has unique features suitable for specific Enterprise-class applications. For instance, MLC SSDs cost less, allow for higher storage density and are used primarily for read-intensive applications. On the other hand, SLC-based SSDs provides greater endurance and reliability for write-intensive applications, and both have a place in the Enterprise tier 0 storage hierarchy. An emerging trend is to combine SLC and MLC SSDs in a tiered configuration in the same way you might tier SAS and SATA drives. For instance, IT managers may deploy SLC-based solutions for online transaction processing where write performance and greater endurance are important, while using lower-cost MLC SSDs for more read-intensive applications such as back office database analytics or for streaming video. "Our MLC SSD product family was developed as a direct answer to our customers' needs for a reliable price/performance storage solution for high I/O Enterprise applications," said Mike Cordano, executive vice president of Worldwide Sales and Marketing, Hitachi GST. "With this new MLC SSD offering, Hitachi now offers a full line of HDD and SLC- and MLC-based SSD storage solutions that support the entire Enterprise ecosystem. I’m proud to say that our continued success in the Enterprise and Cloud segments comes from having the highest reliability in the industry, the right portfolio of products and a trusted, consultative relationship with our customers. This combination makes Hitachi one of the only HDD/SSD providers in the world with the experience, technology and products to help increase MLC and SLC SSD adoption in the Enterprise market." "The Ultrastar SSD400M uses Intel NAND memory and SSD technology and is the result of our continuing strong relationship and joint development with Hitachi," said Tom Rampone, Intel vice president and general manager of the Intel Non-Volatile Memory Solutions Group. "Combining the Enterprise storage expertise of Hitachi with Intel's leading NAND and SSD solutions allow the two companies to deliver unique high-quality and reliable MLC- and SLC-based SSD products to serve a broad range of tiered Enterprise server and storage customers." "The insatiable desire for data is challenging storage ecosystems to deliver high-performance access to information while controlling data center costs," said Jeff Janukowicz, research manager for Solid State Drives at IDC. "The introduction of MLC-based SSDs, such as Hitachi GST's Ultrastar SSD400M, helps foster the market as it lowers SSD acquisition costs while still delivering the Enterprise performance and reliability for which many IT managers desire in traditional Enterprise storage and cloud computing environments." "Tier 0 Enterprise applications are of increasing importance as more and more IT managers are redesigning their data centers for improved total cost of ownership, and to support advances in cloud computing, virtualization and thin provisioning," said Joseph Unsworth, research director of NAND Flash and SSD at Gartner. 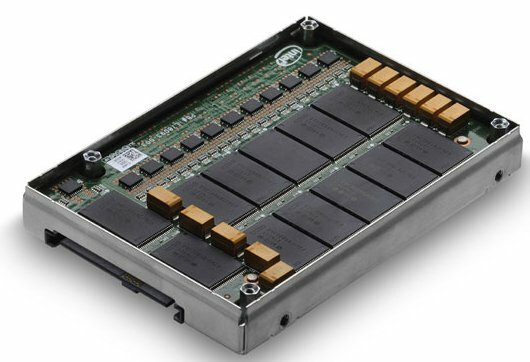 "With an estimated volume CAGR of 57 percent and projected revenue CAGR of 39 percent from 2010-20151, Enterprise SSDs offer a significant growth opportunity. Those that will be successful in capturing share will need to maintain strategic NAND technology relationships and supply, deliver consistent performance and reliability through advanced controller and firmware technology and reinforced with compelling storage management software, and maintain strong customer relationships." Hitachi GST has already shipped and is currently qualifying its Ultrastar SSD400M drives with select OEMs. Broader qualification samples are now available with channel distribution scheduled September. Ultrastar SSD400M self-encrypting models are available, which conform to the Trusted Computing Group’s Enterprise A Security Subsystem Class encryption specification, helping customers reduce the costs associated with drive retirement and extend drive life by enabling repurposing of drives. The MLC SSD family is targeted to achieve a 0.44 percent annual failure rate (AFR) or two million hour mean-time-between-failure (MTBF), representing Hitachi GST and Intel's technology and manufacturing strength. It’s backed by a five-year limited warranty, or the maximum petabytes written (based on capacity). Please visit http://www.hitachigst.com/solid-state-drives for more information.